I hope to bring a new and exciting site to my viewers! Over the past 3 years, I have changed my style of focus towards design and artistic imagination within my images. I hope you as a viewer can see this. I also as some of you know work with a number of charities, supporting the prevention against depression in our communities. Organizations I commenced working with in 2009 was lifeline Australia a 24 hour counseling service aimed to support people in need to talk. I have a current endorsement to raise money for Lifeline and hope to continue this through my photography projects. Fast & Furious 2010 - A collection of Fast cars and high end fashion. Whilst these projects are on-going, my aim is to start working with Beyond Blue in creating a calendar and photo projects to raise funds for the Youth program of depression and suicide prevention. Take a look around and view some of my charity projects, feel free in asking questions via email on my passion with charities and photography. An insight of why im so different in my work, what excites me about photography and the concepts I create. I also talk about why I'm so passionate about raising funds through my photography to help prevent depression within the community. 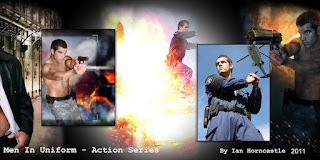 Check out the film in the Website Tab About Ian Horncastle. Photoshoot in the national park Mosman, is a great location for what ian enjoys ACTION shots. Using army bunkers n the edge of cliffs in he national park is just part of the fun the models encounter when working with Ian. 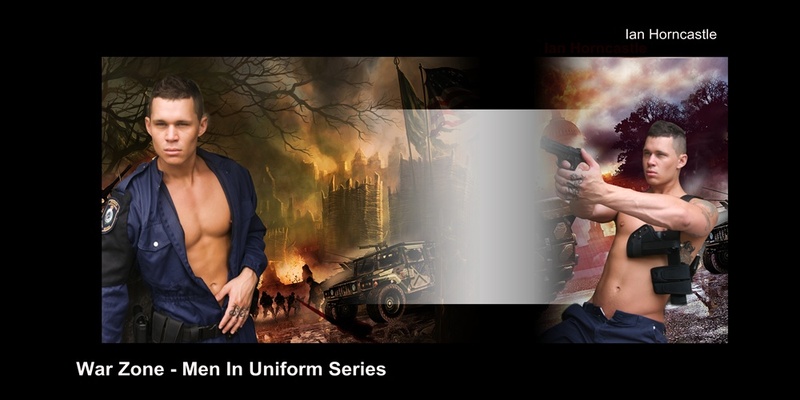 Model Zoren worked very hard on the day providing some great looks which will appeal to the followers of Ians work Men In Uniform Collection. Well its nearly Xmas already! this year has flown! No time to stop thinking and creating new photography projects and ideas for my viewers. The calendar will be shot in a hotel with 12 of the best Male models Australia has seen in a while. Room Service is the name of this exciting fulfilled Male Action. Wow XMAS & new years is over! Hope all had a wonderful break.